When life has you down the only thing left to do is RISE. 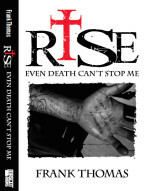 This is Thomas’s debut book about overcoming a childhood marred by poverty, his parent’s addictions, abandonment, adversity and his own bad choices and how he turned every thing that could have been a reason to quit into a reason to succeed. 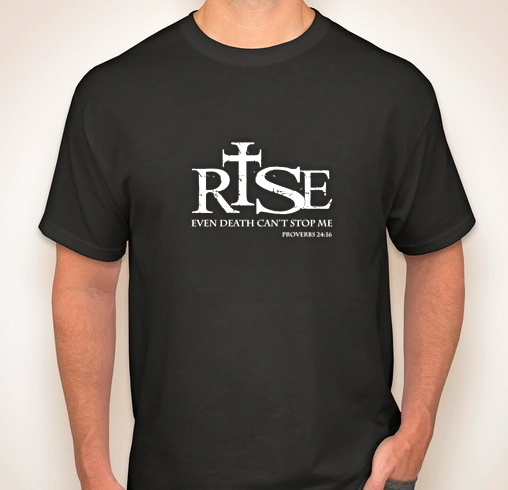 The RISE T-Shirt is a high quality American Apparel poly-cotton short sleeve crew neck. Poly-Cotton (50% Polyester / 50% Combed-Cotton) construction. The perfect 50/50 blend that creates a soft and comfortable slim-fitting T-shirt. Durable rib neckband. Unlike other Poly-Cotton t-shirts on the market, American Apparel is made with combed cotton, giving it an ultra soft, worn in feel and superior drape. These are SUPER NICE T-shirts. Sizes XS to XXL. Please note this T-shirt has a slim fit. The RISE wristband is a 100% silicone dual layer color engraved wristbands with a 1/2″ width. These bands are made with two colors, black on the outside of the wristband and white on the inside of the band and within the lettering. The dual layer color and engraving make them even more eye-catchy. One size fits all.